Justine Curgenven in her North Shore Atlantic LV. Adventure filmmaker Justine Curgenven launched the genre of sea kayaking films in 2004 with her This is the Sea series, which features profiles of top paddlers, footage of expeditions in a wide range of remarkable places, and lots of paddling excitement. She's coming back to Canoecopia in March, where she'll launch the World Tour of This is the Sea 5 and preview sections of her new, three-hour DVD at at charity fundraiser party on Saturday, March 9. One of the sections of the DVD, about her adventures and midadventures in Tierra del Fuego with Barry Shaw, has already won Best Sea Kayaking Film in the 2013 Reel Paddling Film Festival. 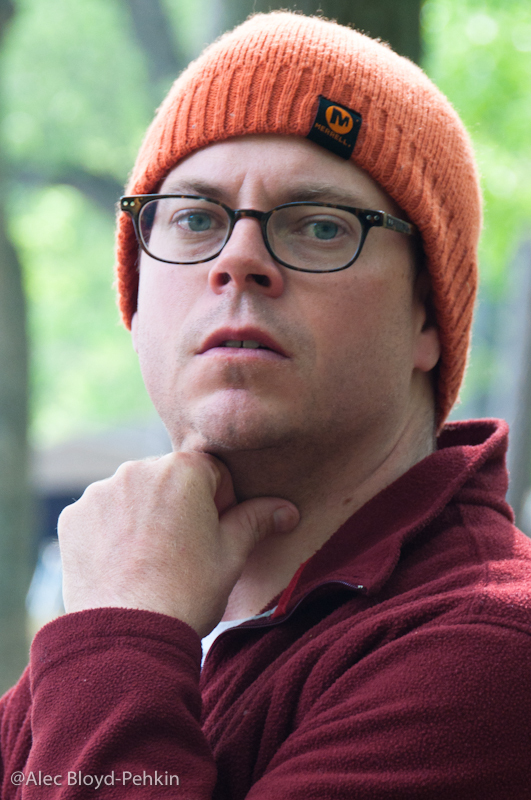 "I guess lots of things went wrong, and people seem to like stories where lots of things go wrong. But it’s a beautiful place as well. It’s a good adventure," she says. We caught up with Justine over Skype just as she finished editing her new DVD. HKWT: You’re about to begin the North American Tour of This is the Sea 5. Didn’t you intend to stop at 4? What changed? JC: I was done at four. But I was also done after two and three. It’s quite draining. It’s quite hard work. After the fourth one, I certainly needed a break and needed to do something different and not feel like I was just churning another one out. I think maybe the canoeing DVD and the instructional DVD provided the break that I needed. But people started asking, “When are you doing another This is Sea?” And it just felt right. I think now is a good time for it. HKWT: What kinds of expeditions do you prefer these days? JC: I like wild, remote places where there are not many people, though when you meet people who live in remote, wild places, they tend to be rather interesting. I love wildlife. I like to be challenged, too. I quite like paddling around things; I think I have an addiction to that, partly because you go back to the same place so there are fewer logistics to work out. But I also quite like the completeness of going all the way around something. HKWT: What are you paddling now? JC: I’m paddling an Atlantic LV just around here. On a trip I’ve tried a few different things. I had a Nordkapp in Tierra del Fuego, and an Etain from Russia to japan with Sarah, and I think I might be going to try an Ocean – which the new North Shore expedition boat – around Ireland. HKWT: You spend time on other adventure sports. Why do you keep returning to kayaking, personally and for your films? JC: Kayaking is my favorite, and I guess its what I’m best at as well. I’ve got all the kit, I’ve got a lot of friends that kayak, but I can also go by myself. I can do it at a reasonable standard. I think kayaking’s got so many different things going for it. There’s the fact that you get to spend time in some really cool places, feel the wind through your hair, you can just have a nice relaxing chill-out going along the cliffs, you can get close to wildlife, and you can have as much adrenaline as you want by going out into the surf or the tidal races. And you get to use your brain and think about things when you go on a trip: you’ve got the weather to worry about and how far you go, when you’re going to land and what your options are if this or that other variable changes. Probably a lot of people who haven’t done a lot of trip paddling don’t know how much goes into it that you do need to consider and think about. I really enjoy the mental side of it as well. JC: I’ll be going around Ireland in May and June for six weeks--we’re not going for a record or anything--with Barry and a friend of ours, Roger Chandler. And I’m making a second rolling DVD with Cheri and Turner. I’ve also been talking about doing an expedition DVD that gives people tips on going on a trip, everything from what kit to take to where to go to a bit about navigation and tide. It’s a huge, huge topic, but I’d like to do a video that has a lot of examples in it because I’ve got so much footage from my various trips that I’d like to use—examples of different situations and how you could deal with it. I’m not sure when I’ll do that; maybe next year. I’m also thinking about doing something with the Hurricane Riders, which I’m quite excited about. They’re really nice people and they’re just pushing it all the time, and I could just see a film about them: The Hurricane Riders: The Movie. I think that could be quite cool. During a discussion of why our shoelaces never stay tied, our son Jeremy informed us that we've been tying them incorrectly all these years. Turns out we tie granny knots, not square knots. We had never thought about laces this way. This discovery required us to correct something we've been doing incorrectly for more than four decades--no small feat. We immediately thought about the concept that it takes 10,000 hours of deliberate practice to become expert at any task. We first encountered this idea in the 2006 edition of the BCU Coaching Handbook, which states: "Practice makes permanent. Therefore poor practice will indeed make poor performance....If we are to produce high-level performers, we could be talking of up to 10,000 hours...to hit our genetic ceiling and produce performers who excel at their chosen sport." This notion is actually based research by K. Anders Ericsson and Neil Charness, published in 1994 in the journal American Psychologist. In "Expert Performance: It's Structure and Acquisition," Ericsson and Charness analyze the results of their study of musicians. "By age 20, the top-level violinists in their study had practiced an average of more than 10,000 hours, approximately 2,500 hours more than the next most accomplished group of expert violinists and 5,000 hours more than the group who performed at the lowest level," they wrote. This is the only reference to 10,000 hours in that report, which emphasizes that diligence trumps innate talent even in areas like athletics and music performance. It wasn't until Malcolm Gladwell published his best-selling book Outliers: The Story of Success in 2008 that the notion of 10,000 hours took off. This wonderful infographic, created by nowsourcing.com on behalf of Zintro, visualizes Malcolm Gladwell's explanation of the 10,000-hour rule. Soon the concept was extended to the acquisition of all kinds of expertise; a 2011 Harvard Business Review blog claimed that it also applied to "collaborative knowledge work -- the type of expertise required to create, or lead, or grow a company," and quoted a 2010 article in the journal Performance Improvement that stated: "Deliberate practice--meaning drill-like practice under the direction of a coach--is key to developing expertise in sports and music. But working professionals and businesspeople typically have no time for practice. We propose deliberate performance as a type of practice that professionals and businesspeople can pursue while they work as a way to accelerate their progression to becoming experts." And, of course, plenty of people disputed the idea. Clearly, there's nothing magical about the exact number 10,000. But there's plenty of evidence that deliberate practice does improve performance, and that while some is good, more is better. Which brings us back to the shoelaces. Learning to tie them correctly after years of poor practice is difficult. It requires conscious thought and deliberate practice to undo the deeply ingrained motor memory we have developed over the past 40 years. 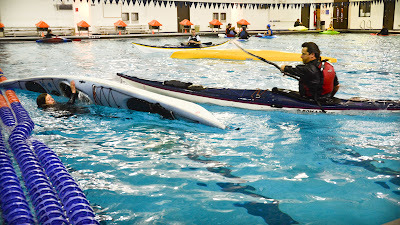 It reminds us of how hard it is for our students to become competent paddlers if they don't spend adequate time working on their skills in a methodical fashion. Deliberate practice, according to Ericsson, means "activities designed, typically by a teacher, for the sole purpose of effectively improving specific aspects of an individual's performance." Or, in kayaking terms, good coaching and lots of practice. 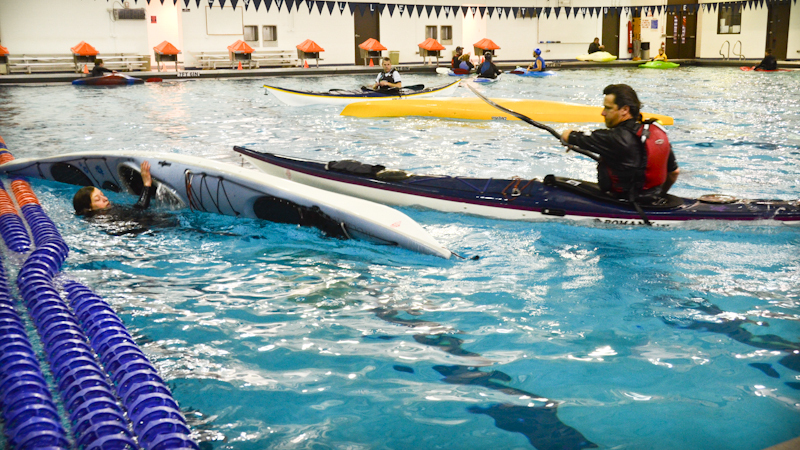 We caught up with Keith Wikle, friend and fellow paddlesport blogger, as he was about to begin a three-day Essentials of Surf Kayaking Instructor Certification Workshop in Jacksonville, Florida with Instructor Trainer Nigel Law, co-owner of Savanna Canoe and Kayak. Nigel, who is well-known for surf kayak coaching at every level, is someone Keith has long admired and wished to work with. Snow and ice pelted our car as we spoke with Keith, who was taking a cab to a campground the night before the start of the ICW. HKWT: Why are you doing a surf instructor certification? KW: I really like surfing. It's the most dynamic part of the sport, and it's probably the thing I enjoy the most. I've spent a lot of time doing it. I've had a number of people approach me about surf coaching, and I wanted to get a better idea about how to become a better instructor for surfing, especially for dedicated surf kayaks. HKWT: How does this connect to sea kayaking and sea kayak coaching? KW: All of the surf stuff I've learned has made me more aware of surf dynamics: what's safe and what isn't, what's fun, and how to take advantage of the dynamics of the surf zone in any boat. And if anything, it's made me less fearful of surfing in my sea kayak. For sea kayaks, you get a much better idea of whether this is going to be fun or it's going to be death on a stick. HKWT: What are you expecting the certification process to be like? KW: The initial part of it is surf zone safety and coaching in sit-on-tops. There's a big part of it that doesn't have anying to do with surf kayaking itself, but more has to do with making sure people are safe and learning rather than scaring the hell out of them. And I'm just excited to go out and play on the waves in Florida in February! HKWT: What do you expect to do with your new certification? KW: I would like to run some courses on Lake Michigan, especially late summer and early fall, more sit-on-top than sit-in courses. 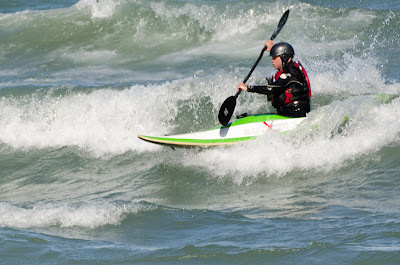 Sit-on-top kayaks are a great way to get people involved in surf, making carves and performing turns without a combat roll. That's what I'm envisioning. HKWT: Will you be writing this up on your blog? KW: Yeah, I'm sure I will. 51 Rescues at a local pool. Today is Alec's birthday. We began the celebration by doing 51 rescues -- one for each year -- in a nearby pool: 20 T rescues, 10 reenter and rolls, 10 scrambles, 10 hand of Gods, and an all in. Our friends and fellow coaches Big Aaron and Mark were there, so they joined us. It's helpful to practice rescues when you're already tired. Too often, we (and people we know) practice rescues a few times, then move on to other activities. Doing more repetitions is a better simulation of the way you'll feel in a real rescue situation. Communication between rescuer and victim is critical. This isn't a new idea for us, but doing so many assisted rescues highlighted the role that good communication plays in speeding up and cleaning up a T rescue. Repetitions lead to natural variations, and sometimes to discoveries. Alec found a slightly better location for scrambling onto his back deck. We tend to wet exit and reenter and roll mostly on one side, and Sharon found her "off-side" reenter and roll awkward. Deliberate practice on both sides is another thing we've added to our list of pool practice activities. Time flies when you're doing rescues.